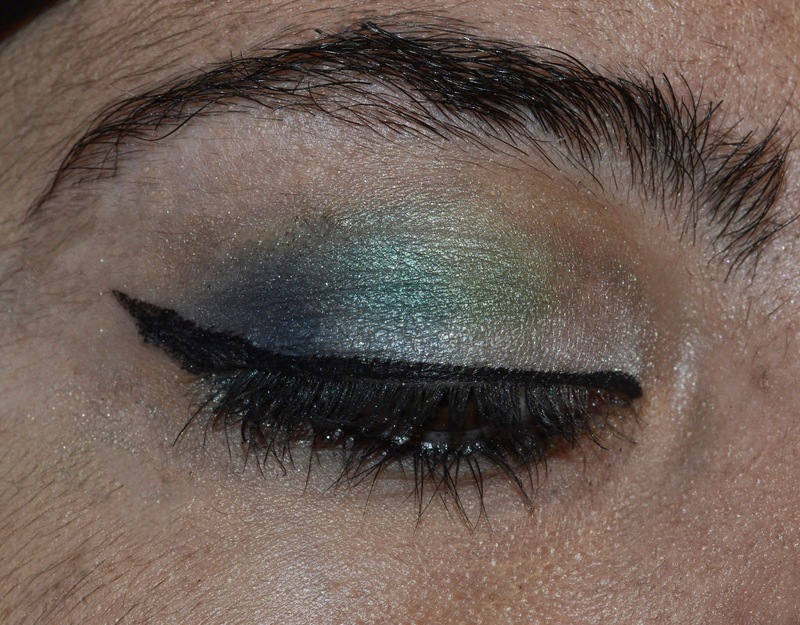 Makeup Monday – Vice 3 Tutorial – Mermaid Green! Happy Monday! Welcome to my Makeup Monday Series, an expansion of my Vice 3 Tutorial series! I want to start featuring Makeup tutorial looks every Monday! I have acquired so much makeup that I have bought that I want to start using it and making unique and classy looks you can wear to various occasions! 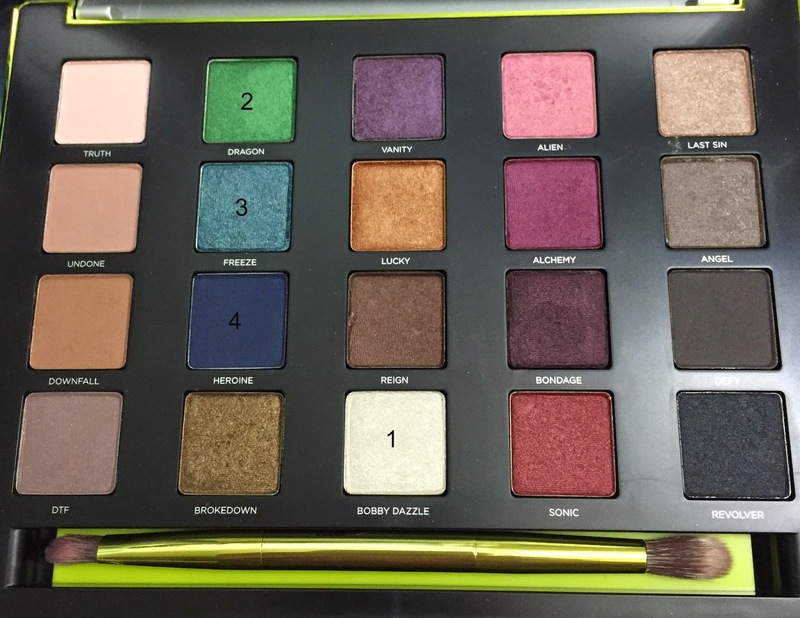 I am still in awe of my Vice3 Palette by Urban Decay (and no, they did not give me anything to do all these tutorials and feature their palette, I am just in love), and I had been itching to use these green-blue shades! I wore it to work, which may have been a little much, but I think it turned out well! I was having an off morning so I just did my makeup to make myself feel better since I felt so glamorous! And it was an easy look to transition from work to night out for drinks with some friends and the boyfriend! Also, I guess you don’t have to use the Vice3 palette, if you have similar shades you can also create this look! This look is super glam, and can be very versatile! Check out the tutorial below! 2. Sweep (1) Bobby Dazzle across the inner corner of the lid, priming the lid with a nice shimmery white color, and I also spread this white shade across the middle part of my lid to act as a base for the bright shimmery green/blues I was about to add! I focused on the lower part of the lid, close to the lash line!. 3. Dab (2) Dragon slightly in the inner/middle lid, to get some pigment. I tried to pack a little bit more to make it more pigmented but be careful not to put too much. 4. Add (3) Freeze to the middle, adding more to make the shade brighter and transition from green to blue. I also started adding more Freeze closer to the lash line, and you can see it got a little lighter because of mixing with Bobby Dazzle. It was a nice effect! 5. Add (4) Heroine to the outer corner, dabbing it to get a dark pigment effect, use it to blend in the crease. Be careful of fall out with this dark shade, as it might smudge. 6. Use the fat end of your brush to blend the colors so they aren’t too separate, I tried to be very subtle with this because I didn’t want to smudge the colors!. 8. Coat your lashes with mascara and enjoy your look! I used Urban Decay Perversion Mascara with Subversion Lash Primer! And here is the numbered pictorial! I matched my eye shadow with a green scarf and just some jeans! It was a cute look for work! What do you think about this look? Is it too much to wear to work? Where would you wear this look to? Let me know in the comments below! Also I’m looking for some feedback on these tutorials — do you like the pictorial tutorial? Or would you prefer step wise or even a video? Let me know please!! PS. If you haven’t already, please give my Blog a LIKE on Facebook!! I would greatly appreciate it! Great palette, you look lovely with the green eye shadow!! Oooh I do like this look. Would be perfect paired with an LBD and a Saturday night! such a pretty eye-make up look . The green is so nice.